The health and wellness of your staff is fundamental to the productivity of your business, and we’re here to help! 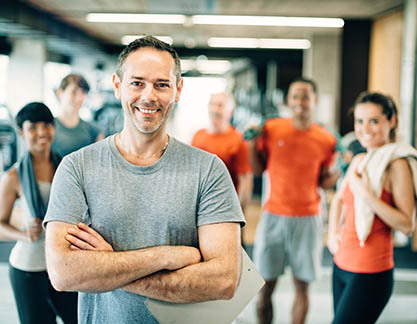 Corporate plans at our health club in Lubbock are available starting with as few as 5 employees. Our Lubbock tennis club offers corporate programs that are customized to the wellness needs of your staff and may include nutritional counseling, weight loss solutions, and group training. Certified instructors from The Falls Tennis & Athletic Club will lead your team to increased energy, decreased stress, greater concentration and creativity, and improved levels of production. Ready to take your team to better fitness? Call 806-687-6080 and partner with us today! The health and wellness of your staff is fundamental to the productivity of your business, and we're here to help! Corporate plans at our health club in Lubbock are available starting with as few as 5 employees. Our Lubbock tennis club offers corporate programs that are customized to the wellness needs of your staff and may include nutritional counseling, weight loss solutions, and group training. Certified instructors from The Falls Tennis & Athletic Club will lead your team to increased energy, decreased stress, greater concentration and creativity, and improved levels of production. Ready to take your team to better fitness? Call 806-687-6080 and partner with us today!